SCOPE & DISSEMINATION – Protecting The Environment is an opportunity! 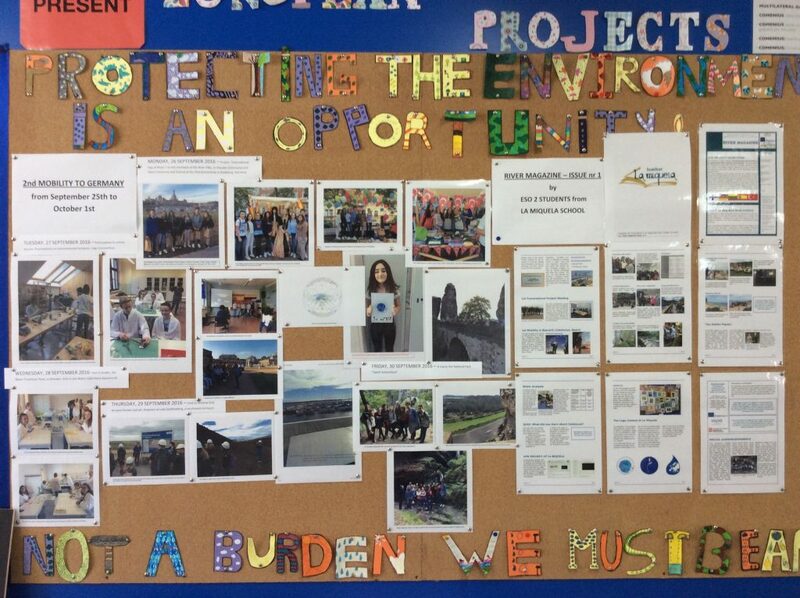 The Erasmus+ Project “Protecting the environment is an opportunity! Not a burden we must bear” is a multilateral project in which 5 countries take part in its implementation: Finland, Lithuania, Spain, Turkey and Germany, as the main coordinator. This project targets students of 12 to 15 years old and lasts two years and a half, that is, from September 2015 to January 2018. 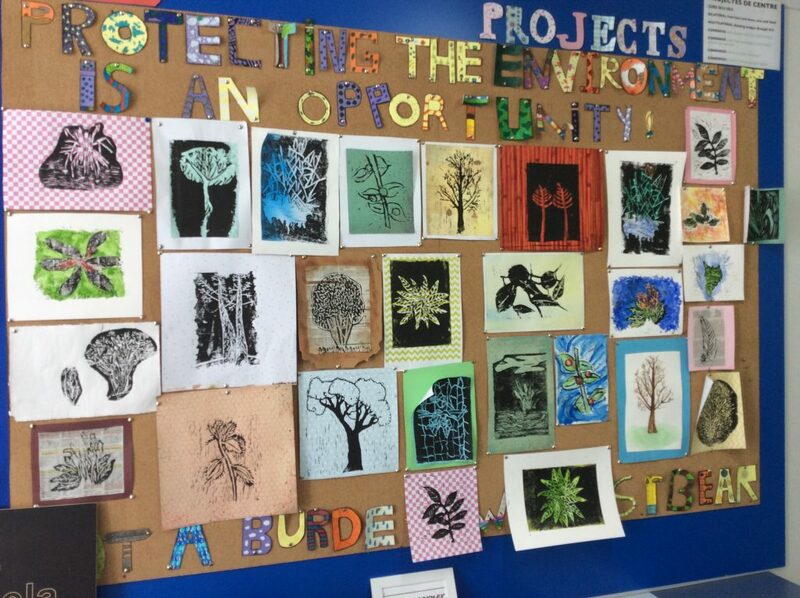 As the title suggests and according to the EU education policies, this project is based on the preservation and protection of the natural environment and on the rational use of natural resources. 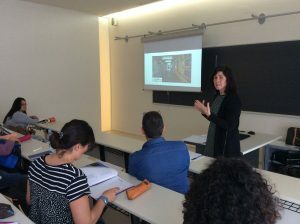 Throughout the duration of the project, 5 mobilities will be carried out, one in each partner country, where students will analyse different water-related environmental hotspots and will put together a compendium of good practices. 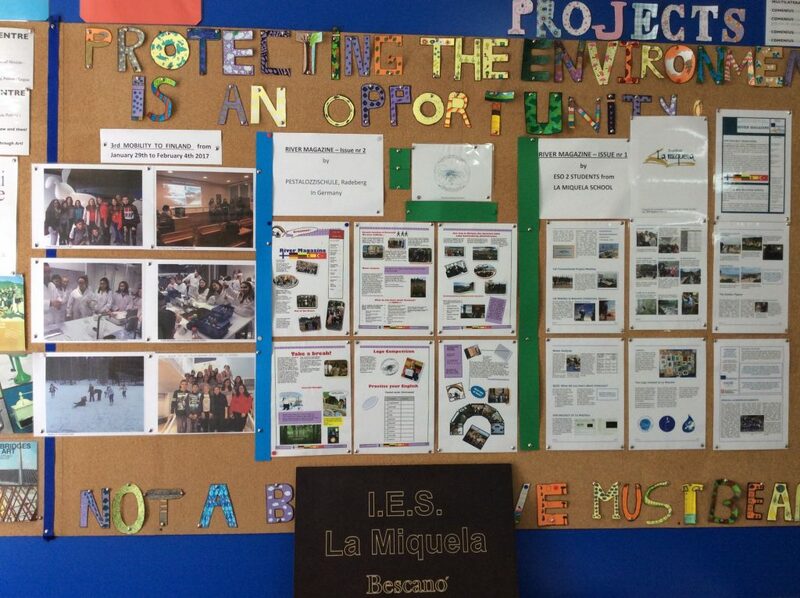 The idea is to make students aware of their responsibility for protecting the natural resources and for the dissemination of the results using the ICT. Therefore, another objective is to promote the use of ICT on the documentation and dissemination of the project activities. A third objective is to encourage the learning of foreign languages. For this reason, the TTALAs (the Teaching and Learning Activities) and workshops as well as the communications via e-mail or Skype will be held in English. 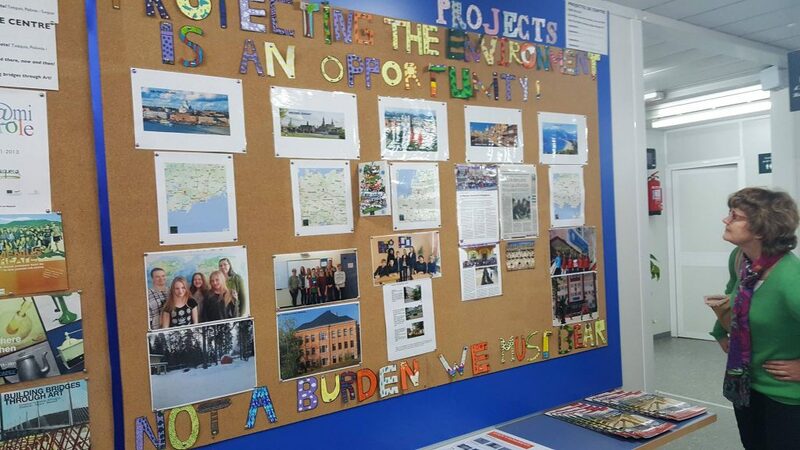 Here you can find the press articles by which our project has become trending topic as well as the different exhibitons we have displayed on our Project Walls in our schools. 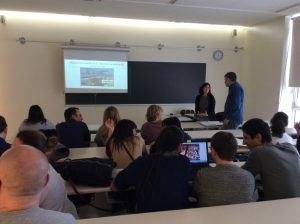 On March 17th, Judit Serrats, English teacher and coordinator of European Projects in La Miquela School, delivered a lecture on the Erasmus+ Project “Protecting the environment is an opportunity!Not a burden, we must bear” for postgraduate students of a CLIL postgraduate course titled “Bilingual Teaching Methodologies for the Language School Project”, placing a special emphasis on the importance of the use of English, as a working language for learning and disseminating the contents of such a project.